A new aircraft and a new seat. British Airways has been eagerly hyping up the world for their brand new A350-1000 by revealing as little as possible about their business class. What we know is limited to little bits and scraps we hear from British Airways themselves. This one, however, might be worth noting. Business class has been rapidly evolving to being as luxurious, if not more luxurious, than many first class products on the market. In recent years, we’ve also seen a reduction in first class. 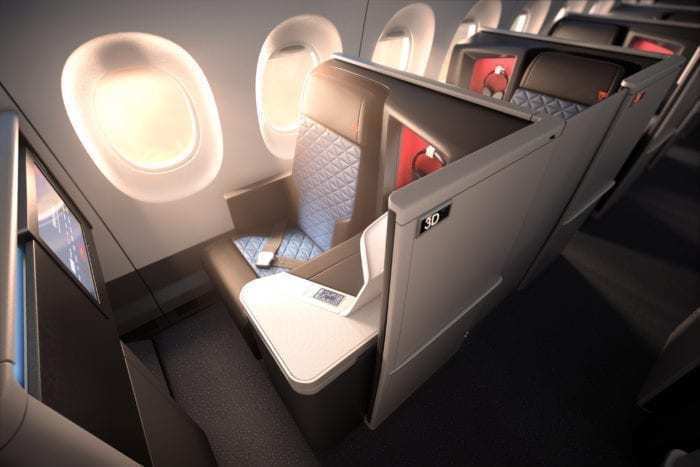 In lieu of first class, Delta Airlines introduced an upgrade to their herringbone Delta One in the form of Delta One Suites and Qatar Airways their Qsuite. 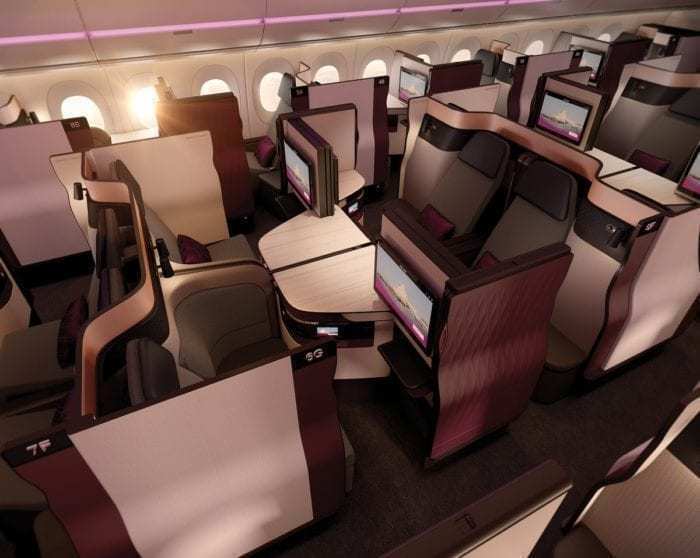 One of the trendsetters in premium cabins includes Qatar Airways. Their latest Qsuite is one of the best, if not the best, business class product out there. It may even beat a host of first class products on the market! British Airways operates plenty of first class-equipped flights. But their product leaves a lot to be desired for a first class experience. Really, first class on British Airways could pass off as a great business class hard product. Business class on British Airways leaves A LOT to be desired. The good news is, British Airways is introducing a new business class on their A350s. The A350s will also not include a first class cabin. For a while, it was presumed that British Airways was releasing a pretty stellar business class product. Now, it looks like that might be happening. These are some pretty vague descriptions that could match a relatively large number of seats on the market. However, British Airways just released a new survey for naming the seat. Granted, it seems like most people surveyed won’t have seen the product to be able to suggest a name. British Airways has released three “examples” for naming the seat: Club Suite, Club World Suite, and Club World Space. So, there are three options here. One, British Airways is hyping up the seat too much. They could be suggesting names for the product that would appeal to a large number of people, but not deliver the suggested product in the end. Two, British Airways is actually releasing a business class suite. This would be a huge (HUGE!) announcement that would definitely be well received. To better align their product with Qatar and remain competitive, this would be the best option that most passengers would respond well to. Three, British Airways is releasing a product that could be considered a suite, but isn’t really to the level of a suite as presented on Qatar and Delta. 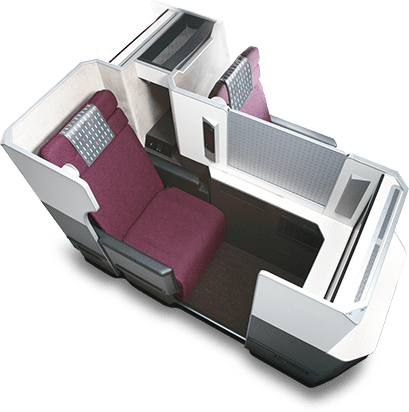 One example could be the Apex Suite found on a few airlines like Oman Air, Korean, and Japan Airlines. We really don’t know exactly what British Airways will release. We’re still waiting, but there are a ton of options out there. Here at Simple Flying, we’ll keep you updated if we know what British Airways is releasing for their new Club World seat. Most importantly, we’re hoping that British Airways is releasing something that isn’t a disappointment and not just hyping up an announcement that really isn’t novel (looking at you Qatar Airways). Your comment about “Business class on British Airways leaves A LOT to be desired”. You can say that again! 3) Passengers from economy class stuffed their hand luggage overhead in business class and “squashed” our bags, and cabin crew did not care. 4) Press call bell for service and no-one came. One thing which BA business class offers is attractive, is that their fares are sometimes quite good (ie low enough, but not always!). On our next Trans-Atlantic flight booked on BA, it was about £1000 LESS than its competitors for a return Business Class ticket. And what was even better, they put us on American Airlines planes, which means we will not have to fly on British Airways planes to get across the Pond (Hooray!) . The long-haul flights on AA business class has 1-2-1 arrangement as opposed to 2-4-2 in BA business class, and that is the big difference. That is quite interesting. I’ve always tried to fly BA but I’ve found them to be more expensive than other carriers for a product that is subpar in comparison to other carriers. We’ll see what the new seats are like! There is no way BA would even consider an Apex product. BA needs to have very large business class cabins to cater to the premium demand out of London combined with the fact that they operate out of slot constrained airports. BA therefore needs a high density business layout which pretty much eliminates the APEX suites. As far as the Delta One or Qsuites go, I don’t see BA going for them. For one a majority of their flights operate within a 9 hour radius- Delta one suites are primarily offered on trans-pacific routes. BA has captive demand owing to their London base and slots at Heathrow. Simply put they need a product that is baseline competitive- ie one that their premium customers would not actively avoid. It is very different to Qatar that needs to compete with Emirates and has to go the extra mile to convince passengers to transit through Doha. 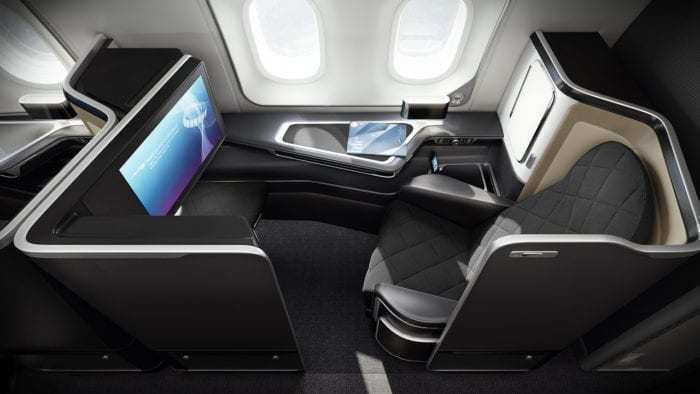 I see BA either going in for either a glammed up version of the Iberia product or at best a United Polaris layout (which would be ideal for them given that it is a high density product with exceptionally positive feedback). Remember BA has said that they will go in for an off-the-shelf product that they can bring to market quickly. A customized suite would be too complex. I expect a standard suite with some bells and whistles and perhaps an enhanced soft product from BA. I can only hope I am wrong but given how pragmatic Willie Walsh is I would not expect anything more. Hi Aman, actually the Apex suites would have the densest configuration in business class. I believe JAL does a 2-3-2 layout (BA currently has a 2-4-2 layout). 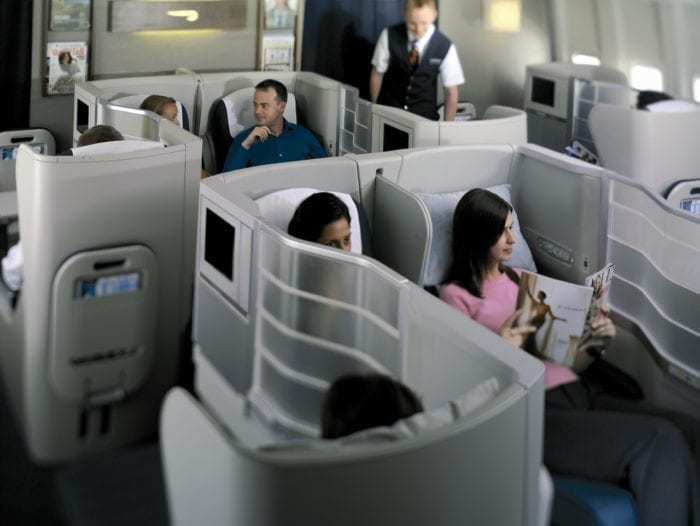 With the elimination of first class, BA could actually offer more business class seats than they do now. I do agree that we will probably see a “standard” suite that is not necessarily very advanced. However, I don’t exactly foresee BA going with an Iberia style business class. BA has to cater to more high-end travelers than Iberia and given the competition in and out of London, I would be surprised to see them go for a more standard product with a few additions. About 18 months ago, we flew the BA from Barcelona to London. The flight was delayed so much that we missed our connection at London which was another nightmare. To be short, We avoid both BA and London. For the last few years our flights are in business class with Emirates or SingaporeAir.and we are very satisfied with them.